When you live with disabilities, you learn to develop workarounds for everyday situations that most people don’t have to think about. However, when you encounter an unfamiliar situation, you may not immediately know what you need to do to ensure that it’s accessible to you. And what’s more unfamiliar than moving into a new home, possibly in a new city or state? For people living with disabilities, the moving process can have some unique challenges. However, those challenges aren’t insurmountable, especially when you have the help of a good moving company. Take a look at some questions you need to ask your moving company. The answers can help make sure that your move is as comfortable and convenient as it can be. A moving company can do much more than just transport your goods from point A to point B. One of the most helpful moving services for people living with physical disabilities is packing services. Packing can be hard for anyone, and it’s even harder when you’re dealing with mobility issues or you are a wheelchair user. While many people are aware that packing services are an option, you may not know that some movers will actually unpack your items for you as well. This can be a big help, allowing you to get settled into your new home and have access to items you need as quickly as possible. Packing services can also help ensure that your items reach their destination safely. If you have delicate medical equipment that needs to be moved, having professionals pack it for you can give you peace of mind that your expensive equipment will be protected and safe. Remember that packing and unpacking services can significantly inflate the price tag of your move. However, there are ways to cut costs. For example, if you have family or friends to help on one end of the move, you may only need to pay for movers to help with packing or unpacking on the other end. The ability to conduct business online or over the phone is a great benefit to people with disabilities, so you may not think twice about getting a phone or online estimate for the cost of your move. However, getting an in-home estimate instead of an online or phone estimate can give you the most accurate answers, especially when you have disabilities that require heavy medical equipment. During a phone or online estimate, the mover relies on you to inform them about the things that they’ll need to move and gives an estimate based on that information. During an in-home estimate, a specialist from the moving company comes and looks over your house themselves. 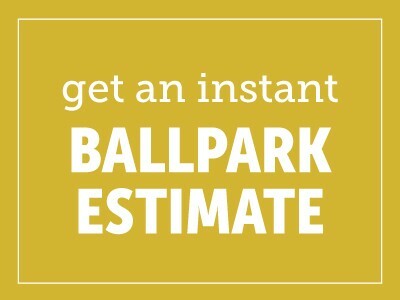 For many people, an in-home estimate is more accurate. Even though you know what’s in your house, you may forget to check certain places, like a rarely used closet or attic. When you need certain medical equipment moved, like a hospital bed or an electric wheelchair, you should prioritize an in-home estimate. These items can require special care to pack and load up and may increase your costs. You don’t want to find out that moving a hospital bed costs more than moving a regular bed on the day of the move. You want to be able to plan your costs as accurately as possible. Do You Offer The Extra Services I Need? In addition to standard moving services like packing and unpacking, you may find yourself in need of additional services that aren’t normally part of a move. While your mover might offer these services, they’re probably going to cost you extra. For example, perhaps you’re going to arrive at the new house before your household goods are scheduled to. If you have important medical equipment or accessibility items that are going on the moving truck, you may not be able to wait too long for those items to arrive. In this case, your moving company may offer an express delivery service, ensuring that your household items arrive within a tighter window than normal. However, you’ll pay more for speedier service. While some important questions that you should ask involve extra costs, ask this question to save you money. Not all discounts are advertised, and because your costs may be higher than they would be for someone without disabilities, you should be especially proactive about looking for ways to save. Like many companies, moving companies often offer military discounts. If you’re a disabled veteran, you should find out if you can save some money this way. Senior citizen discounts are also common. You can also find discounts through your own contacts — some offer family and friends discounts, so if you know someone in the business, they may be able to help. Your real estate agent might also have access to discounts. And of course, you should check the moving company’s website and social media sites for coupons and sales. If all else fails, just ask a representative from your moving company directly if there are any discounts you might qualify for. Don’t let moving be more of a hassle than it has to be. Find out how a reputable moving company can help meet your specific needs. I am disabled and am moving to a house (sharing) with a woman at church. I am on a fixed income and I need the cheapest price possible.